Welcome back! 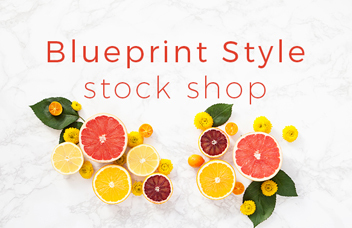 Have you ever wanted to plan that perfect styled photo shoot, but have no idea how to start planning? Well, look no further, today’s post has more tips and inspiration for a sweet and natural photo shoot! In case you missed it, the Classy City Girl Brunch inspiration board and style can be found HERE! 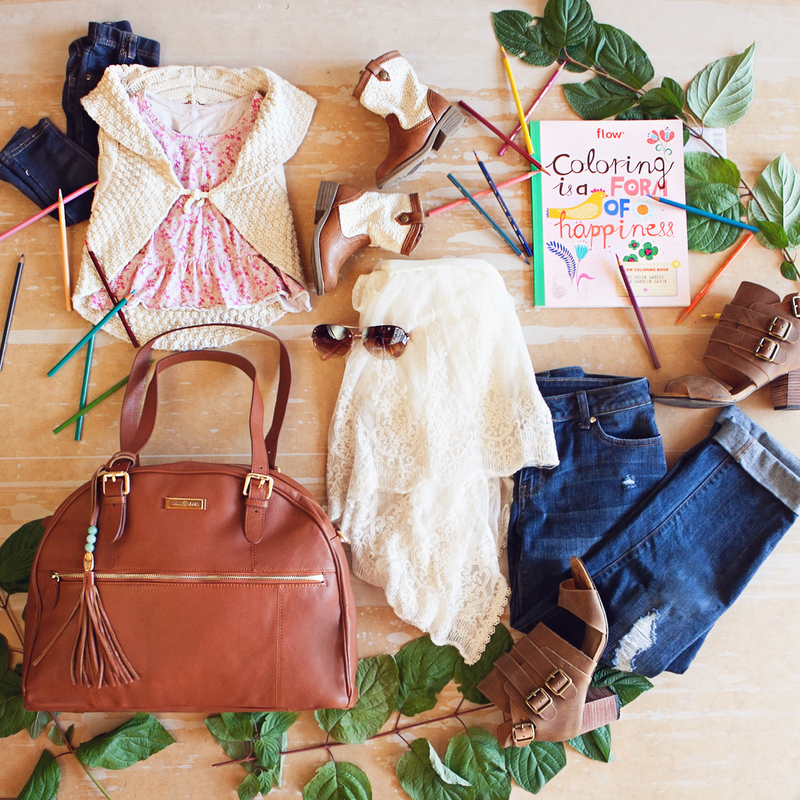 These head-to-toe looks would be perfect for a more natural and sweet mommy-and-me photo shoot or just an everyday visit to the park! These soft tones during “golden hour” would make for some amazing shots! Once again, I ALWAYS recommend starting with mom! By choosing something you feel fabulous in, you will set the tone for the whole photo shoot/experience. If you are fighting an awkward outfit, guess what….awkward pictures! I find that coming up with some coordinating pieces for children is much easier than trying to work in the other direction! Here, mom and daughter outfits start with cute denim (distressed capris and leggings), paired with some fun detailed shoes/booties. Layering some soft textures (gauzy lace, crocheted vest, cotton tees) adds the perfect amount of interest to the outfits without distracting from the real jewels….mom and daughter! After a tip from a few friends on how great coloring can be for the soul (yes, for adults too! ), I picked up this amazing book “Coloring is a form of Happiness” as well as “Splendid Cities: Color your Way to Calm” and I love them…..it’s a perfect date for me and my little, and will be for you and yours too! 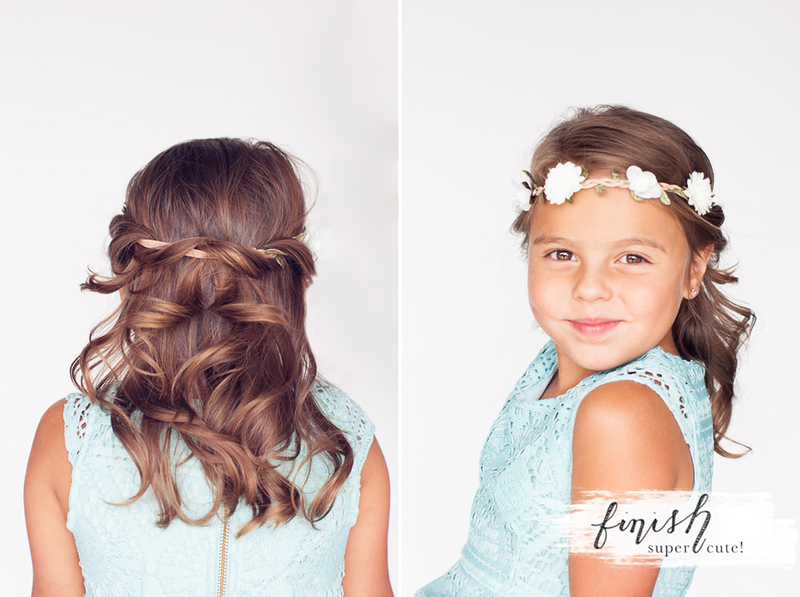 Okay, you will not believe how easy and adorable this hairstyle is. Honestly, this could work for a kid or an adult, it is so versatile! Start with your favorite headband (this one was $2 at H&M)! Place the headband about 1.5 inches from top of ear and pull a small one inch section from below it. 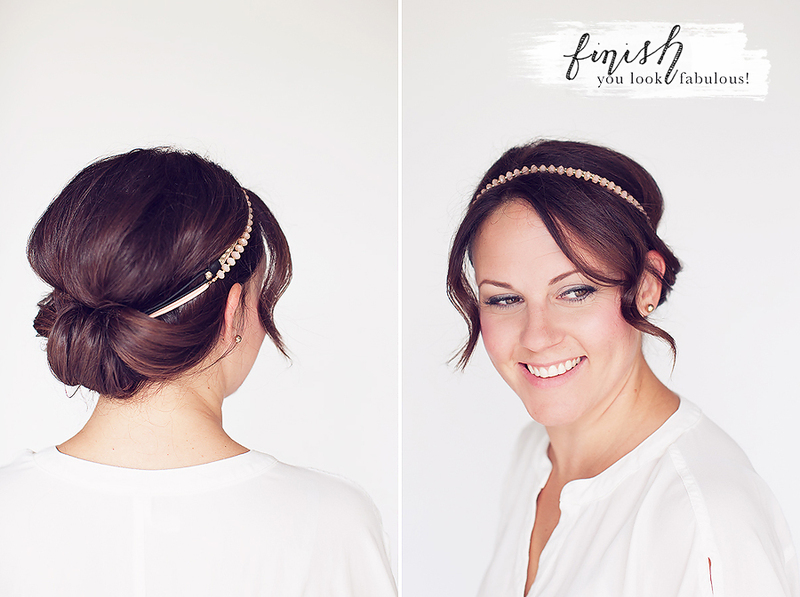 Softly wrap the hair around the band around until it hits the center of the back of the head. 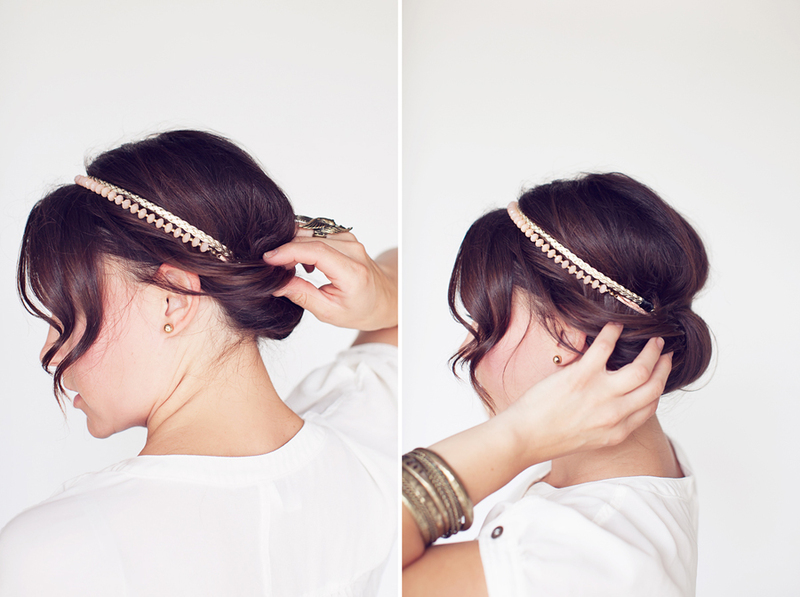 You can either tuck the ends in and pin under or just let the tresses fall in a more true Boho style! Repeat the process from the other side and even out. 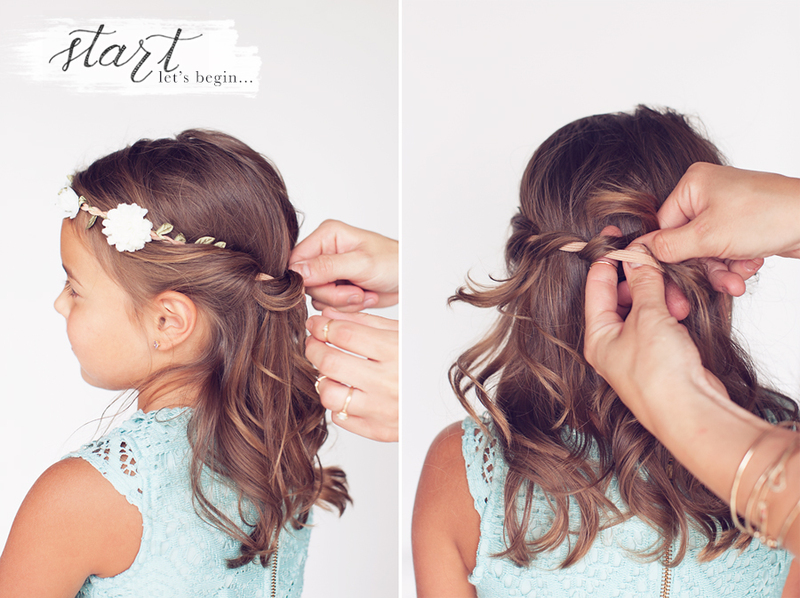 Make sure you do not pull any part of this style too tightly so it looks nice and soft. SO simple, right? Start with lightly textured hair and a tiny bit of backcombing at the crown of your head for a little extra height. 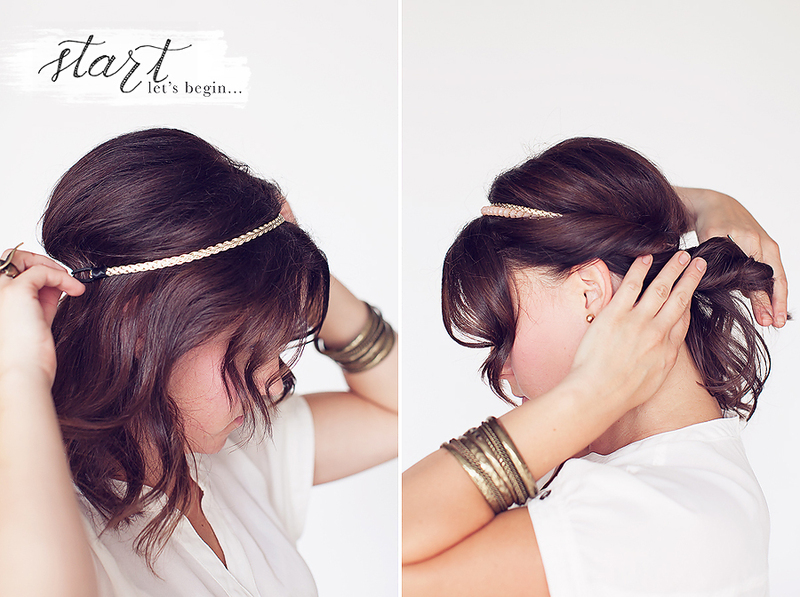 Continue by pulling 1-2 cute headbands on and keeping your crown loose (not plastered to your scalp)! If you have face framing layers or bangs, experiment with how much you want to pull forward to soften the overall look a little. Soft is good with Boho style! Next, you will want to take about 1/3 of your hair on one side and start flipping it over your headband, wrapping it around the band the entire length of your hair. If you have a piece or two that stick out, just pin those bad boys in, it will get hidden in the final step. The next step is to take 1/3 of your hair from the opposite side and repeat the wrapping/pinning process. Make sure the sides look even and then move on to the final step. Finally, take the last bit of hair and wrap and tuck it all over the side wrapped sections. 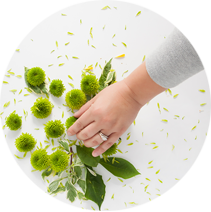 Don’t wrap or pin anything too tightly, because looser looks softer and definitely more lovely! Curl the pieces you have around your face AWAY from your face, and that is IT! Now go get in front of a camera…you look amazing! So that’s it! If you have any questions or are interested in a feature with Blueprint Society, please leave a comment below or send us a note! Be sure to check us out over on Instagram as well if you haven’t already…I hear it’s a party over there….